The six authors of Breaching the Summit—each a retired senior enlisted advisor (SEA) to a member of the Joint Chiefs of Staff—founded Summit Six, LLC in 2017. The group’s mission is to improve the leadership abilities throughout America’s workforce by using the skills, techniques, and experiences gained from military service, post-military corporate careers, hard-work, commitment, integrity, and respect for others. Team members (pictured above from left to right) include: Ken Preston, former Sergeant Major of the Army; Mike Barrett, former Sergeant Major of the Marine Corps; Rick West, former Master Chief Petty Officer of the Navy; Jim Roy, former Chief Master Sergeant of the Air Force; Denise Jelinski-Hall, former Senior Enlisted Advisor to the National Guard Bureau; and Skip Bowen, former Master Chief Petty Officer of the Coast Guard. 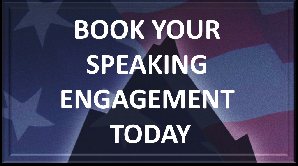 Summit Six provides world-class transformational leadership coaching, organizational change management, workforce development and alignment, and motivational speaking solutions. And the entire Summit Six team is proud to deliver Breaching the Summit, their compelling and inspirational anthology of the families, experiences and mentors that so effectively shaped their leadership philosophies. Ken served as the Army chief of staff’s personal advisor on all Soldier and family-related matters, particularly areas affecting Soldier training and quality of life. He retired as the longest-serving SMA, with more than seven years in the position. Born and raised in Youngstown, NY, Mike enlisted in the Marine Corps in 1981 and completed numerous combat deployments in support of Operation Iraqi Freedom and later Operation Enduring Freedom. Rick was the first senior enlisted leader to serve as fleet master chief for two operational fleets, first as Pacific Fleet Master Chief, then as Fleet Master Chief for Commander, U.S. Fleet Forces Command. Jim was the first CMSAF selected from a combatant command, after serving as senior enlisted leader and advisor to the U.S. Pacific Command Combatant Commander and staff at Camp H. M. Smith, Hawaii. Following roles as OIC of the USCG Cutter Point Turner and later the Cutter Hammerhead, Skip graduated with distinction from the U.S. Army Sergeants Major Academy, where he became one of the few non-Army students to serve as class VP. Hailing from the prairies of Little Falls, Minnesota, Denise advanced her 30-year career to achieve the distinction of holding the highest position ever by an enlisted woman in the history of the U.S. military.